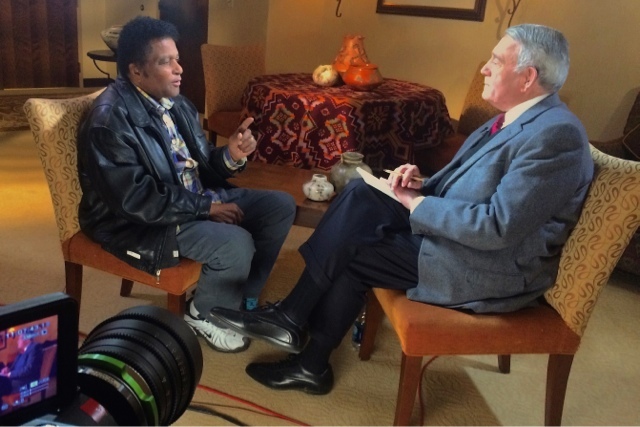 NASHVILLE, Tenn. (May 5, 2016)– Beloved Country music pioneer Charley Pride sits down with Dan Rather for THE BIG INTERVIEWon Saturday, May 7, at 10aE. During the candid hour-long conversation, the Grammy-winning singer opens up about his early life as one of 11 children, picking cotton in the fields of the Mississippi Delta, as well as his introduction to music, the songs that inspired him, and his first guitar. To see more of this in-depth episode, be sure to tune in to THE BIG INTERVIEW on Saturday, May 7 at 10aE, only on AXS TV.